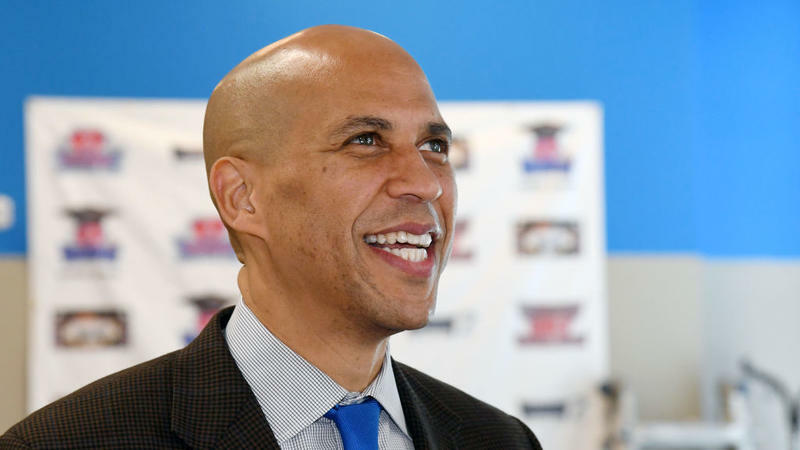 Booker Launches Campaign Tour For The Presidential Democratic Nomination In Newark. New Jersey Senator Cory Booker kicked off his Justice For All Campaign Tour in his hometown of Newark today. 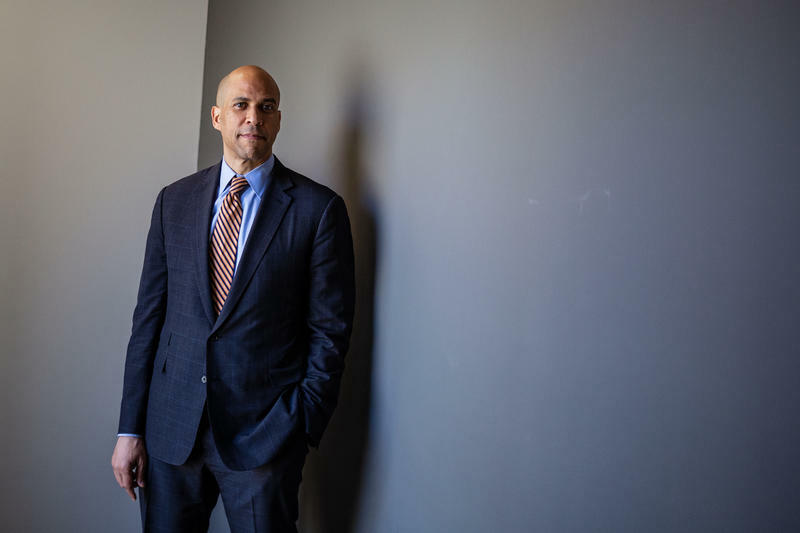 Hundreds of supporters packed Newark’s Military Park for Booker’s first major rally as a candidate for the presidential democratic nomination. Booker laid out his progressive vision for the country around the theme of creating a more just and equitable society. Booker addressed everything from gun control and criminal justice to climate change and women’s rights. The event kicks off a two-week national tour. WBGO's Ang Santos spoke with supporters at the rally in downtown Newark. The former mayor of New Jersey’s largest city paid homage to his hometown and says it was time in Newark that has prepared him for what sill be the biggest campaign of his political career. U.S. 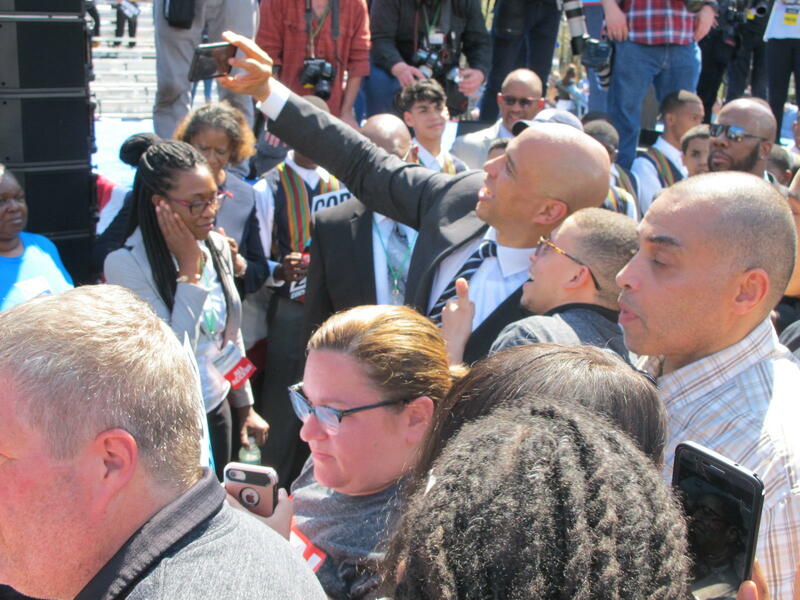 Senator Cory Booker takes selfies with supporters during a campaign rally in Newark's Military Park.